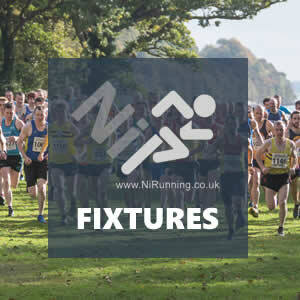 After another busy midweek of action, which included the brilliant Belfast International and the popular Round the Bridges 10 mile road race, it’s that time of the week again when we look ahead to what is coming up over the weekend. Just like the predicted weather, there are some ‘scorchers’ to look forward too, with road, mountain, track and trail all being covered! Tonight’s Newell 10k and Comber 10k races look like they will attract nearly 2,000 people between them, while tomorrow, Larne AC revive a classic event, the Antrim Coast Road Marathon, as they celebrate their 30th Anniversary. BARF will also host the next round of the NIMRA Championship, the Spelga Skyline Mountain Race. Outside Northern Ireland, there will be familiar faces at the AAI National Under 23 and Under 20 Track & Field Championships, the European Mountain Running Championships and the British Athletics Track & Field Championships. As always, our preview will cover those events we have information for (most of the above) – we’ll also list what else is happening out and about this weekend! The weekend action will kick of in spectacular fashion tonight, Friday 29th June 2018, when a star-studded field take on the Newell 10k road race in Coalisland, close to Dungannon. European Athletics Championships bound trio Stephen Scullion (Clonliffe Harriers), Emma Mitchell (QUB AC) and Laura Graham (Mourne Runners) will join well-known competitors Conor Bradley (City of Derry AC), Paddy Hamilton (Slieve Gullion Runners) and JP Williamson (City of Derry AC) in what should be a competitive night of racing over a flat and fast 10k course. Meanwhile, in County Down, a capacity field of close to 800 athletes will contest the Comber Cup 10k. 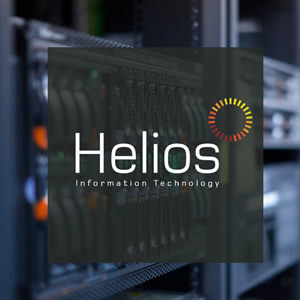 The increasingly popular event is now in its fourth year (Friday 29th June 2018). Organisers, Ballydrain Harriers have introduced pacer for between 40 to 60 minutes, but ahead of them, there should be an interesting battle for honours. North Belfast Harriers’ Lindsay Gordon will be chasing Ben Branagh’s course record of 32:16 and if he breaks it, it’ll see the talented athlete pocket an additional £150. However, he will need to see off a talented chasing pack, which includes the Stephen Wylie (Victoria Park & Connswater AC), Gordy Graham (East Down AC) and Darrell Cooper (Unattached). In the ladies race, Jessica Craig (North Down AC) should dominate and will have her eyes on the 36:53 course record, set by famous ultra-distance athlete Joasia Zakrzewski. Susan Smyth (Dromore AC), Amanda Perry (Ballydrain Harriers) and Joanne Foster (East Down AC) will contest the remaining podium places. On Saturday 30th June 2018, the Northern Ireland Masters Athletics Association (NIMAA) will host their annual Track & Field Championships at Mary Paters Track this weekend. Former Masters 800m World Champion Kelly Neely (City of Lisburn AC) will headline and is due to compete over 800m once again as she prepares for the upcoming World Masters Championships in Spain this September. Catherine Diver (Beechmount Harriers), Keith Shiels (Foyle Valley AC), Denise Toner (Clones AC), Cathal McLaughlin (Derry Track Club) Trevor McGlynn (Omagh Harriers), Shane King (Clones AC), Elaine Connor (Derry Track Club) and Gemma McDonald (Ballycastle Runners) are expected to be amongst the star performers on what should be an excellent day of competition. Local mountain runners will descend on the picturesque Spelga Dam for the sixth instalment of the NIMRA Championship, the Spelga Skyline Mountain Race (Saturday 30th June 2018). The course measures 12.4 miles in distance and includes 1,400m of ascent. There will be several familiar faces missing from the line-up with other major events taking place this weekend, including the European Mountain Running Championships and the famous Mont Blanc Marathon events. However, with valuable Championship points up for grabs, the likes of Jonny Steede (Glens Runners), Keiron Kelly (Newry AC), Timothy Johnston (Mourne Runners) and Newcastle AC pair David Hicks and Colm Murtagh should compete. 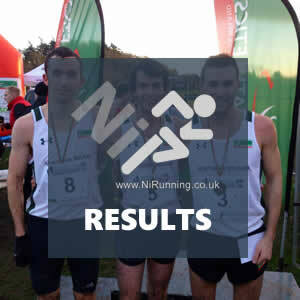 Simon Reeve (North Belfast Harriers), Dale Mathers (Mourne Runners) and Alex Brennan (Springwell RC) may also start. In the ladies race, in-form Esther Dickson (Newry AC) will be the athlete to beat. However, the experienced international pair of Shileen O’Kane (Lagan Valley AC) and Gillian Wasson (Ballymena Runners) cannot be discounted. Lagan Valley AC’s Hazel McLaughlin and Mourne Runners’ duo Karalee Porter and Anne Sandford will also place well. Olympian James McIlroy will headline as Larne Athletic Club celebrate their 30th anniversary by reviving the famous Antrim Coast Road Marathon this weekend (Saturday 30th June 2018 – 9am). The race was originally held back in the 1980’s and was named the Nescafe Coast Road Marathon. Running legend Ron Hill was one of those who took part in what was a prestigious event, run long the famous County Antrim coastline. Despite officially retiring from the competitive running scene in 2008, Larne native McIlroy still participates in the sport and has since clocked 2:33:27 (Berlin 2014) for the classic 26.2 mile distance. The Great Britain & Northern Ireland international, who competed in the Sydney 2000 Olympics, will be the stand-out performer in the capacity 250 field. Local athletes Sam Crawford (East Antrim Harriers), Matthew Hewitt (East Antrim Harriers), Phelim McAllister (Larne AC), Ben Morrow (Ballymena Runners) and Mark Smith (Mallusk Harriers) are likely to contest the remaining podium places as athletes cover a stunning route from Glenann Primary School, just outside Cushendall, to Larne Leisure Centre in Larne. In the ladies race, the host club’s Patricia Blair (Larne AC) will face Larne based North Belfast Harrier Penny Lindsay, East Down AC’s Joanne Foster, Seapark AC’s Gillian Connolly and Orangegrove AC’s Gillian Logan, another athlete originally from Larne. Kirsty Sharratt (Unattached) will also place well. Spectators are expected to come out in force to support the athletes on what will be a memorable day in the local sporting scene. A number of Northern Ireland junior and youth record holders will travel to Offaly (Ireland) this weekend for the Irish Life AAI National Junior and Under 23 Track & Field Championships in Tullamore (Saturday 30th June 2018). Aaron Sexton (North Down AC), Davicia Patterson (Beechmount Harriers), Sommer Lecky (Finn Valley AC) and James Kelly (Finn Valley AC) are expected to lead the charge for local honours at the event. Aaron Sexton set his junior 100m (10.52) and 200m (21.12) records at the same venue earlier this month and the North Down AC man will be chasing gold in the 200m competition this time around. After leaping to 1.83m at this week’s Belfast International, Sommer Lecky will go into the High Jump competition with confidence and should take the gold; the ambitious young athlete will also be focused on bettering her outdoor best of 1.84m and overall personal best of 1.86m (indoor). Likewise, fellow Finn Valley AC athlete James Kelly will be looking to better his 16.55m best in the Shot Putt as he aims for a podium topping performance. Conall Kirk (Annadale Striders) and Lauren Roy (City of Lisburn AC) both impressed at the Belfast International this week and will hope to take that form into these championships, with Under 23 athlete Conall running in the 800m and Under 20 competitor Lauren set to take on both the 100m and 200m. Ellen McCartney (City of Lisburn AC), Michael McAuley (Ballymena & Antrim AC), Fintan Stewart (City of Derry AC) and Anna McCauley (City of Lisburn AC) should contest medals in the Under 20 category, while in the Under 23 programme, Craig Newell (Ballymena & Antrim AC), Mark Burton (QUB AC) and Ryan Keenan (City of Lisburn AC) should be amongst the local athletes who make the podium. A full start list and timetable for the event are available HERE. Also taking place in Tullamore this weekend (Sunday 1st July 2018) is the Juvenile Games and Under 12 / Under 13 Field Events and Inter-Club Relays. A host of Northern Ireland and Ulster clubs will be represented at the event. 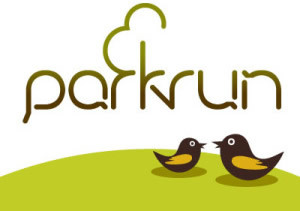 Start lists and a timetable are available HERE. Local athletes are expected to be in action at the prestigious British Athletics Track & Field Championships at the Alexander Stadium in Birmingham (Saturday 30th June and Sunday 1st July 2018) – with places on the Great Britain & NI team for the European Championships and Athletics World Cup up for grabs, competition is set to be fierce. Commonwealth Games bronze medallist Leon Reid (Birchfield Harriers) and current British indoor 60m hurdles Champion Megan Marrs (City of Lisburn AC) are both expected to compete. Leon will more than likely line-up in both the 100m and 200m events, with Megan, who missed the NI 100m hurdles record by a mere 0.3 of a second at the Belfast international, will again go over the 100m hurdles. Leon and Megan will be joined by fellow Northern Ireland athletes Mollie Courtney (Cheltenham AC) and Ben Fisher (City of Lisburn AC), with Mollie competing in the 110m hurdles with Megan and Ben taking on the Long Jump. Start lists for the event are available HERE. Four local runners are part of an Ireland team who will compete at the European Mountain Running Championships in Macedonia this weekend (Sunday 1st July 2018). Newcastle AC’s Seamus Lynch and Zak Hanna will compete in the senior event, while St Malachy’s AC pair Tony McCambridge and Conall McClean will line up in the junior race. A start list for the event is available HERE. Only 2 weeks have passed and the N.Ireland Junior Mountain Running Team are off to compete again, this time at the UK Inter County Fell Running Championship in Glossop, on the edge of the Peak District, England. Only 3 members of the Junior team who experienced great success in Italy a fortnight ago are travelling, due in large part to the selection of Tony McCambridge and Conall McClean (both St Malachys AC) for the Irish U20 Mountain Running Team, competing at the European Championships in Macedonia. NIMRA are delighted about their selection and wish them every success in the competition. While these two athletes are young compared to others competing, they have proved themselves already to be up to the challenge. NIMRA is keen to see the development of all these talented young athletes, helping them develop towards senior competition and hope that many more can follow in Tony and Conall’s footsteps. The Inter Counties is a great opportunity to develop young athletes, allowing U17 and U19 male and female athletes to compete against the best mountain runners in the UK. NIMRA are continuing the development of girls in the sport of mountain running, by bringing full teams at both age groups. Ella Quinn, just back from Italy, leads the U17 Team, joined by Sorcha Mullan of Omagh Harriers. Though new to mountain running, she is no newbie to International competition, having competed for Ireland in XC. Rebecca Magee of Dromore AC is the youngest member of the team, but has proved herself an excellent technical runner, and we look forward to seeing how she and the other U17 girls compete this weekend. Aoife McGrath is back for more after competing in Italy, this time on the U19 Team. She is joined by experienced mountain runner, Cassie Lagan (Omagh Harriers) who competed for Ireland in the 2017 U18 Youth Cup. The final member of the girls team is Grace Carson, winner of the Junior Mountain Running Championship back in April. She has had fantastic success on the track this year, winning Ulster and placing 2nd in Irish Senior Schools at 3000m. The U17 boys are the newest to the mountain running scene, but have proved themselves capable in training events over the last couple of months. Callum Morgan, another St Malachys AC athlete, and Brendan McCambridge (North Belfast Harriers) have both achieved track 3000m pbs this season, Brendan at Ulster Clubs and Callum at the Inter Pros. They are joined by Conor McGrath of Lagan Valley AC, who enjoyed a great cross country season and has relished in the technical aspects of the recent training workshops. The U19 boys team is headed by Jared Martin. Jared needs no introduction, being recent joint series winner of the Hill & Dale series, 5km winner of the Born to Run series and finished 28th at the U18 International Cup in Italy. He is joined by two St Colmans athletes, Miceal McCaul and Tom Magee, both previous N.I. athletes at the WMRA U18 cup in Italy in 2017. Both athletes have had many successes in XC and have broken numerous pbs on the track this year. We are looking forward to seeing how they go as they return to the hills in this competition. Saturday will be a great development opportunity, both for the upcoming Junior Home International in Glendalough this September and looking further ahead to the WMRA U18 Cup in 2019. NIMRA has been helped in technique coaching sessions by senior athletes, Ian Bailey and David Hicks, both Newcastle AC. We are most grateful of their help and look forward to seeing their advice put into practise this weekend. The team have just spent the morning in an excellent course recce and technique workshop, led by Dave Taylor of The Felling Running Guide. This weekend (Friday 29th June to Sunday 1st July 2018) will also see a host of local mountain-trail runners descend on the stunning town of Chamonix in France for a weekend of exciting, and extremely challenging events, ranging from the 3.8k VK (Vertical Kilmometre) right up to ultra-distance, with a 90k race. Mourne Runners athletes Sarah Graham, Ricky Hanna, Sam Herron, Beverley Herron and Garth McGimpsey and Geoff Smyth (BARF) are amongst those who will be competing over the weekend. More information on the weekend’s action, including race details and live results can be found HERE. New route and change of day for Belfast City Marathon in 2019! Lindsay Gordon and Jessica Craig win as nearly 800 take on popular Comber 10k!